Spirit AeroSystems has begun major assembly of the Bell V-280 Valor fuselage, the two companies announced on 15 June. "Spirit AeroSystems brings decades of composite manufacturing experience to the team, which allows us to quickly build an aircraft like the V-280," Phil Anderson, Spirit AeroSystems senior vice president of defence, said in a statement. The fuselage for the tiltrotor V-280 is a composite cabin and cockpit. 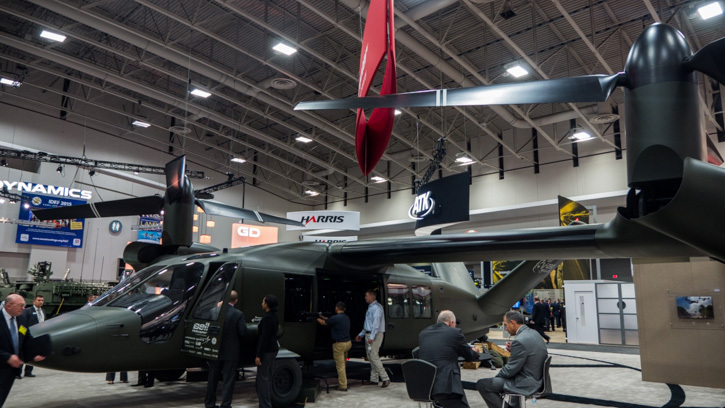 Bell is under contract with the US Army to build the V-280 for the Joint Multi-Role helicopter technology demonstrator (JMR-TD), a precursor to the service's Future Vertical Lift (FVL) programme to replace its entire fleet of helicopters. In addition to Bell, Boeing and Sikorsky are under contract to build a demonstrator. AVX and Karem have received smaller awards to continue their research into future helicopter technologies. The army plans to field FVL Medium in the 2030s, with FVL Heavy following in the 2040s. The delivery of the first V-280 fuselage to the Bell Helicopter facility in Amarillo, Texas, is expected later this year. First flight of the V-280 demonstrator is planned for the second half of 2017, according to Bell. É desta que se compra uns quantos para combater incêndios. The Ural Automobile Works company has developed a new 4x4 mine-resistant ambush-protected (MRAP) vehicle designated the Ural-53099 Taifun-U, according to a source in the company. It was shown for the first time at the ARMY-2015 international military forum near Moscow from 16-19 June. "The 6x6 Taifun-U MRAP, which participated in the 9 May Victory Day military parade, [was the basis for] the 4x4 vehicle," the source said, pointing out that the Ural-53099 shown at ARMY-2015 was a mock-up. The Russian Ministry of Defence has already shown interest in the new vehicle, according to the source, who told IHS Jane's , "We are expecting that a decision to launch the appropriate design and development work [for the vehicle] will be taken as early as 2016." The new vehicle is intended to complement the 6x6 Taifun-U, with Ural also intending to develop an 8x8 Taifun-U variant. "As a result a whole family of new Russian MRAPs will be created, consisting of three vehicles," the source said. It is proposed that the Taifun-U 4x4 MRAP be equipped with a remote weapon station (RWS). The vehicle demonstrated at ARMY-2015 was equipped with a new MBDU combat module developed by Kalashnikov. "That is an option", said the source, commenting on the MBDU installation. "The modular structure of the vehicle allows integration of other RWSs, for instance those produced by TSNII Burevestnik or JSC Electromachina. This is an advantage of the Ural-53099," he added. The Taifun-U 4x4 MRAP has the equivalent of NATO Level III STANAG 4569 protection against 7.62 x 54 mm B-32 armour-piercing bullets fired from an SVD sniper rifle or PKM machine gun, although IHS Jane's understands that the level of protection can be increased. The source did not reveal the level of the vehicle's blast protection. The Taifun-U 4x4 is powered by a 440 hp YaMZ-5367 engine coupled with an automatic transmission and has a maximum speed of 100 km/h. The vehicle has a crew of three and can transport up to eight troops as well as tow a 5-tonne trailer. The Ural-53099's gross weight is 16 tonnes. The forum “Army 2015″ representatives of the Ministry of Defence has shown the layout of the ship – analogue French Mistral. Amphibious assault ship of the “Surf” (Priboy) is available in the form layout on the stand of the main command of the Russian Navy. On board will be placed up to eight anti-submarine and amphibious helicopter Ka-27 and Ka-52K. Airbus Helicopters and India's Mahindra Defence have signed an agreement to form a joint venture (JV) that aims "to become the first private Indian helicopter manufacturer under the 'Make in India' initiative," the two companies announced on 2 July. The JV will be "dedicated to supplying the Indian Armed Forces with Made-in-India, state-of-the-art helicopters," Guillaume Faury, Airbus Helicopters' president and CEO, said. The partnership depends on receiving Indian government approval required for military JVs, an official confirmed. The proposed JV is targeting India's Reconnaissance and Surveillance Helicopter (RSH), Naval Utility Helicopter, and Naval Multirole Helicopter procurement programmes, which have seen multiple re-tenders, delays, and cancellations. The RSH tender, which as a requirement for 197 platforms was most recently cancelled in August 2014, was resurrected in September 2014 with the release of a request for information (RfI) to locally build more than 400 platforms under Prime Minister Narendra Modi's 'Make in India' initiative. The Ministry of Defence (MoD) has extended the RfI response deadline four times - most recently on 31 March - and IHS Jane's reported in April that it was evaluating responses from 10 Indian companies. The RSH tender outlines a requirement for a single-engine, 2-2.5-tonne platform to replace licence-built Chetak (Aerospatiale Alouette III) and Cheetah (Aerospatiale SA-315B) helicopters. In April official sources said that as well as Mahindra, other private-sector firms to respond included Axis Aerospace & Technologies, Bharat Forge, Dynamatic Technologies, Larsen & Toubro (L&T), Punj Lloyd, Reliance Industries, Taneja Aerospace, and Tata Aerospace Systems Limited. State-owned Hindustan Aeronautics Limited (HAL) also responded to the RSH tender by offering its under-development Light Utility Helicopter (LUH). Industry sources said all 10 Indian companies were in talks with four overseas original equipment manufacturers (OEMs) to form JVs to supply and locally build the helicopters. As well as Airbus, which is offering its H125M - formerly known as the AS550 C3 Fennec - the foreign OEMs are AgustaWestland, which is offering the AW119, Bell-Textron with its 407GT, and Kamov with the Ka-226T 'Hoodlum'. Slovakia is to purchase 31 Rosomak 8x8 armoured personnel carrier vehicle chassis for PLN120 million (USD31 million), it has been announced. In Slovakian service the vehicles will be armed with the Slovakian TURRA 30 unmanned turret, and known as the Scipio infantry fighting vehicle (IFV). A letter of intent for the purchase was signed by Slovak prime minister Robert Fico and his Polish counterpart Ewa Kopacz on 3 July. 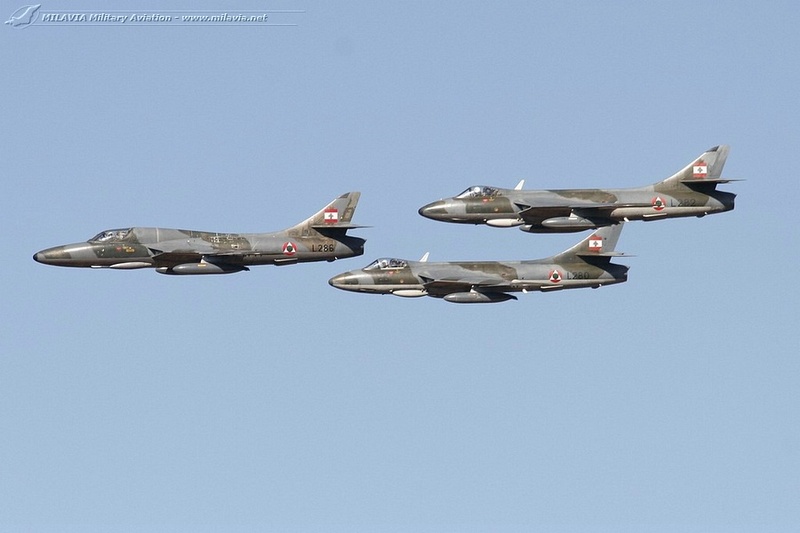 A final contract, including a training and logistic package, is expected to be signed in the next two months, with the cost of the purchase met by a Polish-government sponsored loan. The Scipio will also be offered by Poland and Slovakia to other possible customers. The vehicle demonstrator, named Rosomak-Scipio 8x8, was unveiled in May 2015 at the IDET defence exhibition in Brno, before it was tested at the Zahorie military training ground in June. Slovakia is expecting in exchange that its DMD Group will be involved in the overhaul of Polish Land Forces vehicles including 152 mm wz. 1977 Dana 8x8 wheeled howitzers. The Slovak Republic is planning on purchasing up to 66 Scipio IFVs to equip two motorised battalions, although its formal requirement is for 100 vehicles. Currently the Slovak Armed Forces operates 32 armoured 8x8 vehicles (including the outdated OT-64 SKOT), 12 of which are more than 30 years old. The Rosomak is a version of the Finnish Patria AMV (specifically the XC-360P variant) built under licence in Poland by Siemianowice Slaskie (formerly known as WZM), part of Polska Grupa Zbrojeniowa (PGZ). Each Rosomak chassis costs USD1.1-1.4 million. [The German government] agreed to introduce controls in recipient nations to prevent weapons made in Germany from being resold to third part countries which are at war or are viewed as unstable. Responding to criticisms of arms sales to unstable regions such as the Middle East [Economy Minister Sigmar] Gabriel has taken a cautious approach to approving exports since his centre-left Social Democrats joined Merkel's conservatives in a coalition government. A German government report showed last month that the value of licences to sell defence items abroad fell by a third to 3,97 billion euros last year. However, exports of more narrowly defined "weapons of war" -including missiles, helicopters and tanks- nearly doubled to 1.8 billion euros in 2014. Russia may deliver to Pakistan a few units Su-35 fighter jets, reported military-informant.com. This was announced by the Assistant Russian President Vladimir Kozhin, RIA Novosti reported. The Su-35 has not previously been supplied abroad. Currently we are discussing a contract for the sale of fighter jets to China. The Russian Air Force has ordered 48 production units, designated Su-35S, of the newly revamped Su-35. Both Su-35 models marketed to many countries, including Brazil, China, India, Indonesia, and South Korea, but so far have not attracted any export orders. Sukhoi originally projected that it would export more than 160 units of the second modernized Su-35 worldwide. As primeiras unidades exportadas do blindado militar Guarani, desenvolvido pela Iveco em parceria com o Exército do Brasil e produzido em Sete Lagoas, devem ser destinadas para o Líbano. Em um contrato firmado com a unidade italiana da fabricante, 10 unidades do veículo serão enviadas para o país do Oriente Médio. O pacote inclui ainda 70 unidades de outros modelos produzidos na Europa, segundo informações do site especializado no setor Defense News, do conglomerado de mídia norte-americano Gannett Company. Fontes do estado confirmam a informação. A expectativa é entregá-los entre 2016 e 2017. Procurada, a Iveco não se manifestou sobre o assunto até o fechamento da edição. O contrato, de cerca de 30 milhões de euros, segundo o site, inclui 25 veículos leve multifuncional (LMV, sigla em inglês), conhecido como Lince. 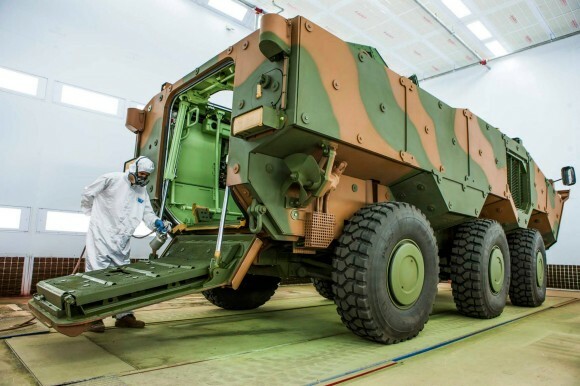 O jipe, produzido na fábrica italiana da Iveco, tem tração nas quatro rodas e 195 cavalos de potência. É usado por importantes exércitos europeus, como Reino Unido, Itália e Rússia. O veículo foi testado pelo Exército do Brasil para ser incluído na parceria com a Iveco, mas ainda não há definição. Outros cinco veículos de proteção média (MPV, também em inglês), usados para o transporte de tropas, também fazem parte da encomenda. O veículo pode ser adaptado para ambulância. Soma-se a esses dois 10 unidades do Guarani e outros 40 veículos fornecidos para a polícia libanesa. O Guarani enquadra-se na classificação de viatura blindada de transporte de pessoa média de rodas (VBTP-MR), com capacidade para 11 pessoas. O aparelho é equipado com sistema anfíbio, e tração 6×6 capaz de alcançar velocidade elevada em terrenos adversos. O poder de fogo da artilharia é variável, podendo ser dotado de um canhão de 30 milímetros ou metralhadoras ponto 50 e 762. O blindado militar, segundo apurou o EM, seria transportado para a Itália para depois ser enviado ao Líbano. Localizado em região conflituosa, o Líbano faz fronteira com a Síria e com Israel. O país tem recebido armamento financiado por outros países para contribuir no fortalecimento militar. Apoiador do regime sírio de Bashar al-Assad, o reforço militar visa ajudar tropas libanesas a impedir qualquer ofensiva do Estado Islâmico e o braço da Al-Qaeda na Síria, Frente Al-Nusra. 25 Iveco LMV e 10 Guarani. Boa aquisição mas não deixa de ser mais do mesmo, principalmente quando vão receber as VBC-90 de França e a juntar aos Humvee, Renault Sherpa, M113, VAB e Chaimites se ainda sobrar alguma. No entanto continuam sem uma força aérea digna desse nome. A Indra foi escolhida para fornecer dois radares Lanza 3D de vigilância aérea de longo alcance transportáveis e com capacidade de montagem rápida, também denominados LTR-25, à Agência de Comunicação e Informação (NCI Agency) da OTAN. O valor deste contrato, com um prazo de execução de 36 meses, é de cerca de 22 milhões de euros, podendo ser ampliado aos 36 milhões de euros, com a contratação de uma terceira unidade e material opcional. O contrato foi assinado na última sexta-feira (10 de julho) na sede da Agência NCI em Bruxelas, com a presença do diretor geral da Agência, Tenente General Koen Gijsberg, e o diretor-geral da Indra, Carlos Suárez. 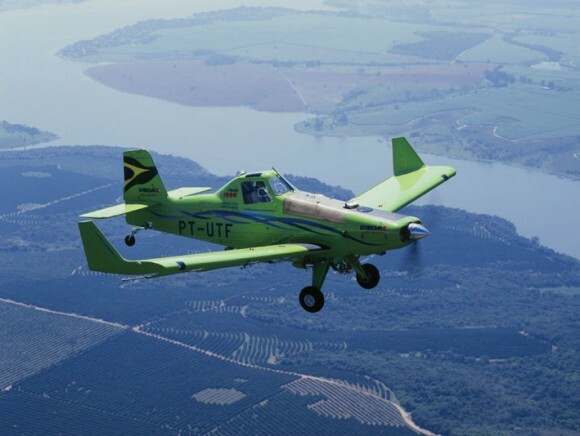 Os Radares de Defesa Aérea Desmontáveis (DADR) farão parte do Sistema de Comando e Controle Aéreo (ACCS), um dos pilares do Sistema de Defesa Aérea e Antimíssil da Aliança Atlântica (NATINAMDS), que pela primeira vez unificará a gestão de todas as operações aéreas, incluindo o suporte ao planejamento e execução de missões. Os radares LTR-25 estarão completamente integrados com o Sistema de Comando e Controle Aéreo da OTAN, complementando as instalações fixas existentes. Com isso, haverá reforço da vigilância em zonas de especial interesse com maior capacidade de montagem em missões internacionais. Os radares também oferecem capacidade de detecção e acompanhamento de mísseis balísticos. 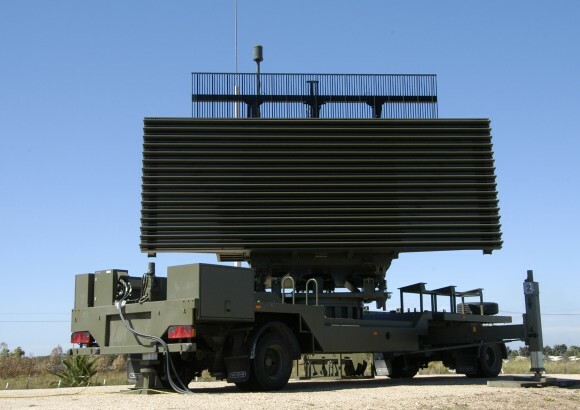 Cada unidade LTR-25 é composta de um radar primário integrado com um radar secundário e um shelter de operação e geração de potência. O sistema foi desenhado para facilitar seu transporte e ser instalado em locais não preparados, ou seja, pode ser transportado no compartimento de carga de um avião tipo Hércules C130 ou em caminhões. O desenvolvimento da versão transportável do radar Lanza 3D de longo alcance foi iniciada em 2012, dentro de um programa de Compra Pública Inovadora do Ministério da Defesa espanhol, que contou com o apoio do órgão espanhol CDTI (Centro para o Desenvolvimento Tecnológico Industrial). O LTR-25 faz parte da quinta geração da família de radares 3D em banda-L da Indra e incorpora um salto tecnológico que o situa entre os mais avançados de sua classe. Integram-se a ele o apontamento eletrônico do feixe do radar, a digitalização dos dados na própria antena, a técnica monopulso em elevação e Azimut, capacidade anti-clutter, tecnologias mais avançadas de processamento de sinal, capacidade de detecção e acompanhamento de mísseis balísticos e um inovador desenho que facilita e reduz o custo das tarefas de manutenção. Atualmente, os radares Lanza 3D da companhia são operados nos cinco continentes. Além disso, a Indra mantém uma carteira de pedidos superior a 20 unidades dos distintos modelos da família (longo alcance, transportável em duas versões e naval), situando-se como uma das líderes neste segmento tecnológico em todo o mundo. Este contrato de Radares de Defesa Aérea Desmontáveis (DADR) consolida a posição de liderança tecnológica da Indra neste campo. Neste sentido, a companhia resultou vencedora dos últimos concursos convocados pelos países da OTAN para o fornecimento de radares de longo alcance. Presente no Brasil desde 1996, a Indra é uma das principais companhias de tecnologia, consultoria e outsourcing do país. Conta atualmente com uma equipe de mais de 6.500 profissionais e uma ampla cobertura geográfica, com escritórios distribuídos nos principais estados brasileiros e quatro softwares labs. A multinacional possui uma oferta diferenciada de soluções e serviços de alto valor agregado, que atendem os setores Financeiro, Energia e Utilities, Telecomunicações, Administração Pública e Saúde, Indústria, Transporte e Tráfego e Defesa e Segurança. A Indra, presidida por Fernando Abril-Martorell, é uma das principais multinacionais de consultoria e tecnologia da América Latina e Europa. A companhia oferece soluções, serviços de Tecnologia da Informação e sistemas integrados para clientes em todo o mundo. A Indra possui um modelo de negócio diferenciado, baseado em suas próprias soluções (cerca de 65% do total da receita em 2014) com clientes líderes em diversos países. Em 2014, obteve receita de 2,9 bilhões de euros e registrou um total de 39.000 funcionários. A empresa tem presença em 46 países e projetos em 149 países. A presidente Dilma Roussef e sua equipe podem ter conseguido mais um do cliente para o Embraer KC-390, o maior avião desenvolvido no Brasil. Em entrevista coletiva após visita ao Pavilhão Brasil, na Expo Milão 2015, a parlamentar revelou que a Itália demonstrou interesse em comprar o novo jato brasileiro, que está na fase final do projeto. “É um grande avião de carga que vai substituir os Hércules, fabricados pelos Estados Unidos. Além de ser um avião de transporte de carga pesada, é um jato, o que modifica as oportunidades de transporte que ele tem”, afirmou a presidente, segundo o Blog do Planalto. Detalhes sobre a negociação, assim como informações sobre o pedido italiano pelas aeronaves, ainda não foram divulgados. 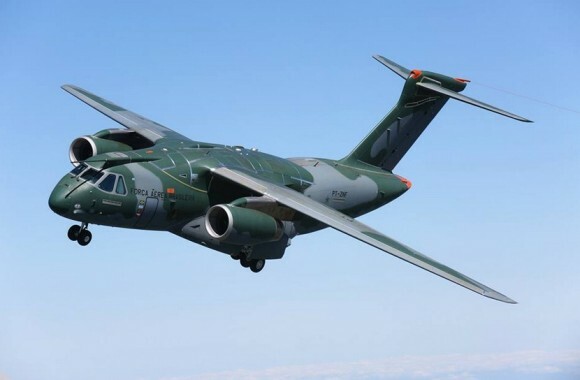 O KC-390 realizou o primeiro voo experimental em fevereiro deste ano e a entrega da primeira unidade a Força Aérea Brasileira (FAB) está prevista para o segundo semestre de 2016. Além da FAB, a aeronave também será empregada pelas forças armadas da Argentina, Chile, Colômbia, Portugal e República Tcheca. Não fosse pelo apoio da Itália, talvez a Embraer não teria a proporção e prestígio que tem atualmente. Na década de 1970, a fabricante brasileira produziu sob licença o jato de treinamento EMB-326, o Xavante, que era um projeto original da Aermacchi. Esse modelo foi a primeira aeronave com motor a jato produzido no Brasil e serviu de aprendizado para o desenvolvimento de outros projetos. A parceria entre os dois países voltaria a se repetir nos anos 1980, quando foi iniciado o desenvolvimento conjunto do avião de ataque AMX, desta com a Aeritalia. O Xavante está praticamente aposentado, servindo apenas em esporádicas missões de testes e avaliação de equipamentos. Já o AMX segue na linha frente e recentemente passou por um programa de modernização, recebendo sistemas atualizadas e novas opções de armamentos. Bell-Boeing has been awarded a USD332.5 million deal for the manufacture and delivery of five V-22B Block C Osprey tiltrotor aircraft for Japan, the Pentagon announced on 14 July. "The Bell Boeing team is honoured to have Japan as the first international customer for the V-22," Mitch Snyder, executive vice-president of military helicopters for Bell Helicopter, said in a statement. According to the Pentagon announcement, the five initial aircraft are to be delivered to Japan by June 2018. The US Defense Security Cooperation Agency (DSCA) notified US lawmakers in May that Tokyo had requested up to 17 V-22s and 40 Rolls-Royce engines worth USD3 billion over five years. At the time, DSCA said the sale would help enhance Japan's ability to carry out humanitarian and disaster relief missions, and support amphibious operations. The Japanese Ministry of Defense (MoD) announced the selection of the V-22 in November 2014 after including a tilt-rotor requirement in its fiscal year 2015 budget request. The aircraft are due to equip a new amphibious unit made up of two expeditionary divisions and two brigades. The unit's role is to recapture territory "without delay in case of any invasion of any remote islands", the MoD said when it announced its formation in December 2013, making a thinly veiled reference to its dispute with China over the Senkaku/Diaoyu Islands. The Indian Air Force (IAF) will buy 48 more Mil Mi-17V-5 'Hip' medium-lift helicopters to supplement the 139 it acquired from 2008 onwards, officials confirmed on 20 July. The IAF spokesman told IHS Jane's that the IAF had moved a proposal to the Ministry of Defence (MoD) to buy the additional Mi-17V-5s for around UDS1.1 billion. Senior IAF officials do not anticipate delays in securing MoD approval for the twin-engine helicopters, as they are an add-on to an earlier purchase made via a government-to-government deal with Russia. It is, however, unclear whether all or just some of the 48 Mi-17V-5s will be weaponised, as was the case with the majority of the earlier 139 platforms. The IAF acquired 80 Mi-17V-5s in 2008 for USD1.34 billion and followed that purchase in December 2012 with an order for another 71 for USD1.53 billion. Twelve of the second batch were ordered for India's paramilitary forces. Delivery of the Mi-17V-5s to the IAF - to replace ageing Mil Mi-8s and to augment the fleet of 90 Mi-17IVs acquired in the late 1990s - began in September 2011 and is likely to be completed by the end of 2015. In 2014 six Mi-17V-5s were modified for the IAF's Communication Squadron to transport Indian VIPs such as the president and prime minister, after the MoD terminated the import of 12 AgustaWestland AW101 helicopters following corruption allegations. No decision, however, has been taken on whether these six - or more-Mi-17V-5s - will be permanently seconded to transporting VIPs or whether the Special Protection Group, responsible for their security, will seek to replace them with other platforms.